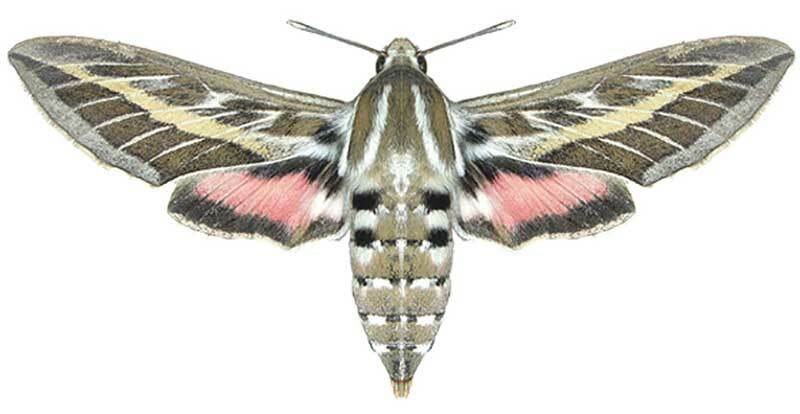 Insect follows Sphingidae family, and Lepidoptera order. Frontal wing colour is dark brown, with black stripes. Back wing is black with a rose stripe. Wing is about 65-90 mm long. Larvas attack grapes, Herbs, sallow apples and tomatoes.